Belize City, Tuesday, May 16th, 2017: The Belize Tourism Board (BTB) this week launched a public awareness campaign to remind owners and operators of guest accommodation services of their obligations and requirements under the Hotel and Tourist Accommodation Act. Under the law, any owner or operator providing accommodation for remuneration purposes to any guest (local or foreign) regardless of its location in the country, is required to register with the Registrar of Hotels at the BTB. This applies to hotels, resorts, lodge or inns, vacation homes, guest houses, camp sites or bed & breakfast facilities, motels, bungalow apartments, home stay facilities, religious or educational & research facilities, dormitories or cabins, villas, beach houses or community-based tourist establishments or if you are registered with any booking engine or other travel agencies and have not registered with the BTB. Being a registered guest accommodation service with BTB gives the owner or operator the benefit of having a hotel license to operate legally and freely, of contributing meaningfully to the sound development of our dynamic tourism industry, as well as to benefit from the strategic plans and promotions of the BTB. The process for registering a guest accommodation service is easy. 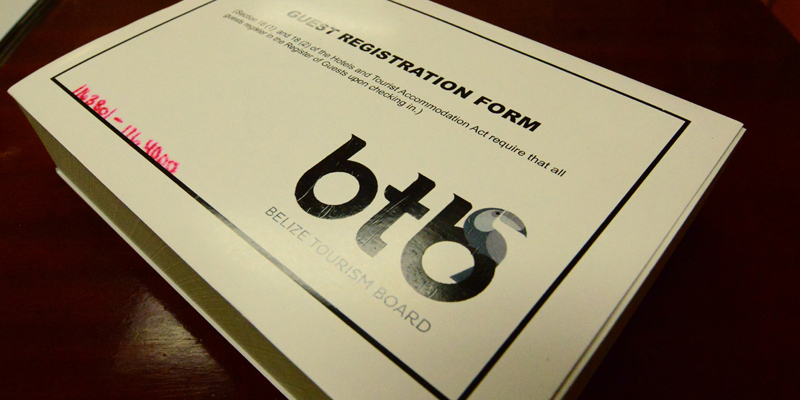 Application forms can be downloaded from the Belize Tourism Board website at: http://www.belizetourismboard.org/industry-sectors/hotel-licence/. Printed forms must be completed and submitted to BTB. While the law is very clear, the BTB is conscious that there is the need to educate the public, especially operators of guest accommodations, on the provisions of the Hotel and Tourist Accommodation Act in order to encourage them to register with the Register of Hotels at BTB. The BTB serves as important link between the public and private sector in promoting and marketing Belize’s tourism product and is also mandated to ensure the sound development of Belize’s tourism industry.